​​Welcome to FAMILY LIFE Assembly! FAMILY LIFE Assembly is made up of ordinary, everyday people who are committed to helping one another experience a closer relationship with Jesus. Nestled in beautiful Glendale, Arizona, we are here to help those in our community who are looking for a place to belong, a place where they can grow in their spiritual journey and learn how to make a difference in the world they live in. Wherever you are in life, you are welcome here! W. Union Hills Drive and N. 54th Ave in beautiful North Glendale, Arizona. 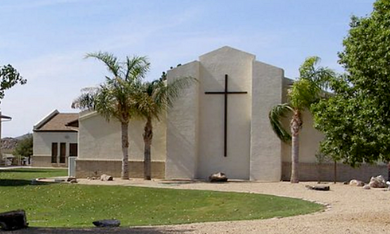 Parking is located behind the Church building, entering off of N. 54th Ave.
On Sundays, Sunday School begins at 9:15 am. Worship begins at 10:30 am in the Chapel. On Wednesdays, Worship begins at 7:00 pm in the Chapel. are provided for all services.